Low-fat diet plans can help you lose weight and improve your heart health. Eating a low-fat diet can also help lower cholesterol and reduce your risk of heart attack or stroke. Dietary fat is more calorically dense than carbohydrates or protein. One gram of fat has nine calories, while one gram of protein and carbohydrate has four calories. This means fat has more than twice as many calories as protein or fat. Some fats increase your risk of heart attack by increasing the "bad" type of blood cholesterol known as low-density lipoproteins. These artery clogging fats can line your blood vessels and harden, leading to narrower passages through which blood flows to and from your heart. Decreased blood flow can lead to heart attack, stroke, and congestive heart failure. Trans fats are found in a number of products. These manufactured fats occur when food manufacturers add hydrogen to vegetable oils, and are often found on ingredients labels listed as "hydrogenated" or "partially hydrogenated." You find trans fats in a number of commercially prepared foods such as cookies, crackers, and donuts. Saturated fats exist at room temperature as solids. Animal fats are saturated, as are fats found in dairy products. The USDA recommends eating a low fat diet containing fewer than 25 percent of your total calories from fat, including less than 7 percent of total calories from saturated fat. Some fat is necessary for health. The USDA recommends eating about 20 percent or less each of your daily calories from monounsaturated and polyunsaturated fats, which come from vegetable sources and fish. If you want to follow a low-fat diet plan to lose weight, then you will also need to cut calories. Low-fat diet plans typically consist of fewer than 2,000 calories per day and incorporate exercise. Following low-fat diet plans is not very difficult. Minimize fatty animal proteins such as steak and bacon. Avoid fast food, snack foods like potato chips and fried foods. 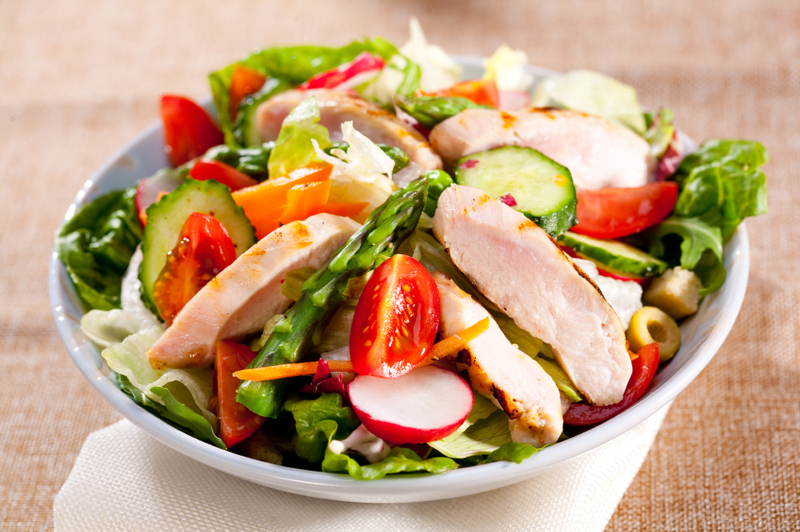 Opt for low-fat salad dressing and sandwich spread. Avoid butter and other fatty diary products such as cheese. Instead, focus on fresh fruits and vegetables, low-fat dairy, whole grains, and lean protein. By following a healthy, low-fat menu and counting calories you can protect your heart and lose weight.